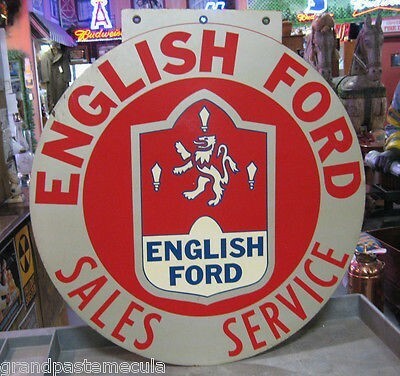 This grey and red English Ford sign is nice. Measuring 36″ across, the sign has a mounting strip at the top edge. The sign is round and in the center, has a shield with a lion. The text reads “English Ford Sales Service, English Ford.” There are hints of blue detailing.